This is super easy. I really like using lettuce as a substitute for bread or tortillas because it’s so much easier, is less calories, and it tastes good. Form ground meat into patties (I made 4 medium sized burgers). Cook over medium heat approximately 5 minutes per side (I like mine medium to medium well). Melt cheese on top of burgers. 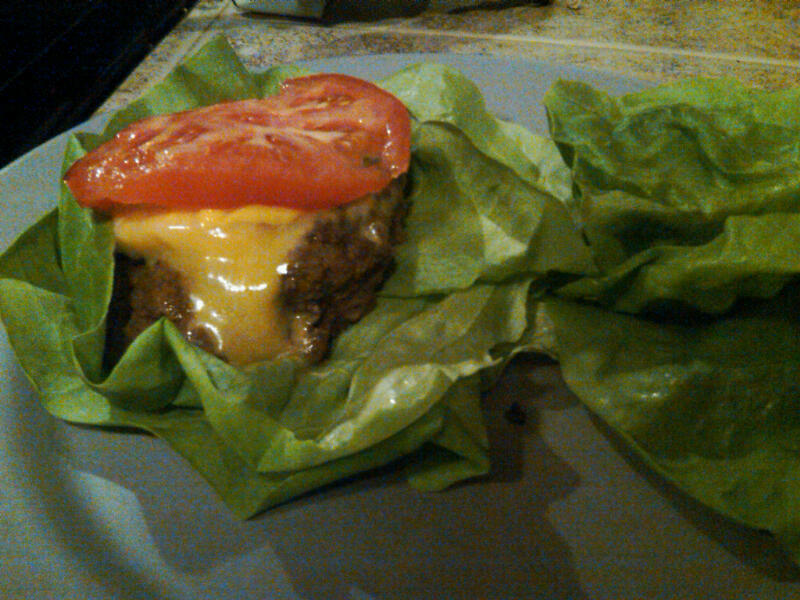 Place two lettuce leaves on a plate, top with burger, mustard, tomato and two more lettuce leaves.